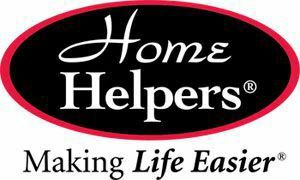 Home Helpers was started by Judy Kramer, who is responsible for the excellent care her parents, ages 95 and 93, receive. Judy was previously a successful executive at Oracle and traveled extensively. When her parents started to show signs of needing additional care, she researched home care companies. She realized that caregiving with sincerity, compassion and communication was missing from bigger companies. So she decided to start her own home care company that would make a real positive difference in people's lives. The care she insists on for her parents is the level of care that is given to each and every client. Whether you are seeking the best in-home care for yourself or for your precious loved ones, Home Helpers will always be as committed to our clients as we are to our families. Because our clients are a part of our family. Each caregiver is personally chosen by Judy. They are thoroughly screened and carefully matched with each individual client. We do criminal background studies on the state and federal levels, drug testing, fingerprinting, check driving records, tb screening and require extensive training. Our caregivers are bonded and insured. Our application is a combination of skill assessments and an inventory of personal traits. We remain involved with the care of each individual client through communications with our caregivers and clients. Our committment to care is unparalleled in the industry.